Depending on the business transaction you are trying to pursue, there will come a time that you will need to prove that you own what you own. This is very common especially when dealing with business transactions that requires quite a big amount of money. You may also see affidavit of marriage examples. For example, when you sell a property, you have to provide proof that the property is actually yours in order for the buyer to avoid legal penalties. There are other reasons for explaining what’s yours, but how do you do it? What do you need to provide? You may also like affidavit of birth examples. 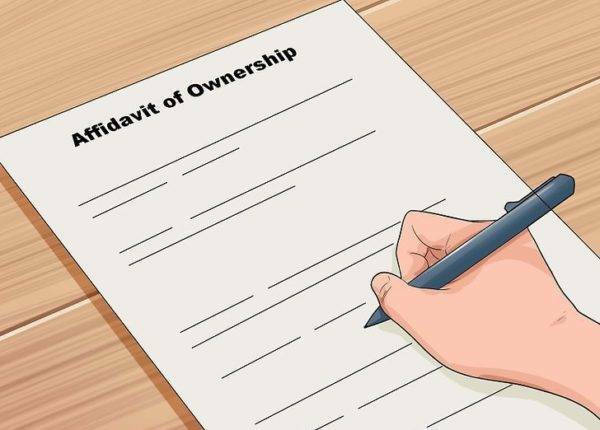 What Is an Affidavit of Ownership? 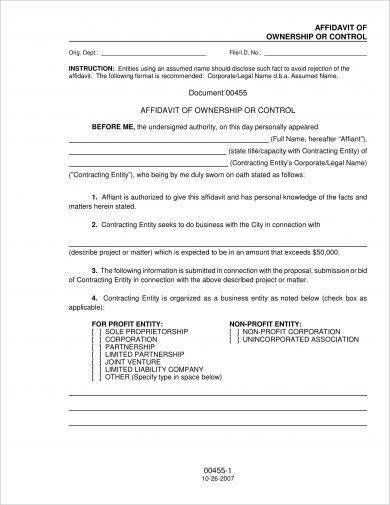 Therefore, an affidavit of ownership is a document containing facts about a property as well as pertinent facts about the person making an affidavit, the document is then signed by the individual in front of a notary public or any authority concerning the property to bear true to what has been stated in the document. 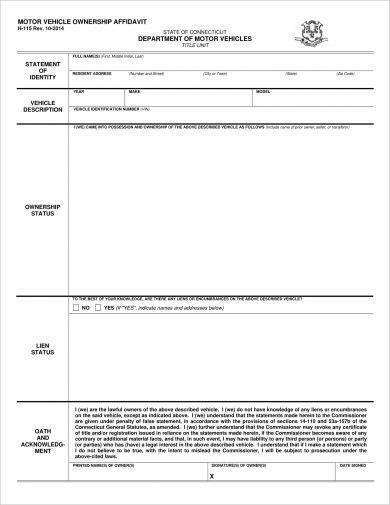 You may also see affidavit of death examples. 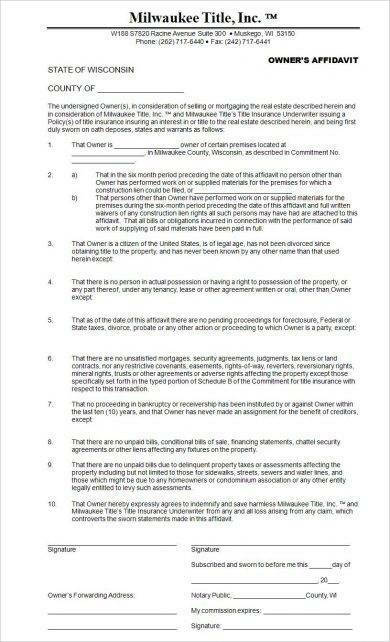 Simply put, an affidavit of ownership explains and/or verifies the ownership of the property that is subject to question. It attests the truthfulness of what has been stated under the law. One way of putting an affidavit of ownership is thinking of it as a written testimony. Wherein, in the court of law, you place your hand on a Bible and swear that you’re telling the truth and nothing but the truth, same goes for the affidavit but only in written form. You may also like affidavit of domicile examples. Therefore, an affidavit of ownership is a very useful and powerful document that can make true to your claims of ownership to you properties. It can be used anywhere should the occasion need you to present proof of legitimacy to your claim of owning a property. This is very common especially when selling a property or putting a certain property on collateral for a loan or financial investment. You may also check out statement of purpose examples. In order to make your affidavit of ownership effective, you must affix your true signature. It is common that you sign the affidavit in front of a notary. A notary is authorized by the state to verify your signature for many types of formal or legal documents. You may also see statement analysis examples. The notary will have to check your driver’s license, passport, or other ID information to confirm and verify the facts that you have included in the affidavit as well as see if your are really who you say you are. In the case of an affidavit of ownership, the notary may also have to check for other documents directly stating your ownership of the property you are making an affidavit of. You may also like statement of work examples. There may be instances when a notary performs either an acknowledgment or a jurat. An acknowledgment means that the person who has asserted to sign the document actually did sign it. In the acknowledgment document, rather than stating that what has been stated is true, he/she affirms that it is his/her signature affixed in the records. 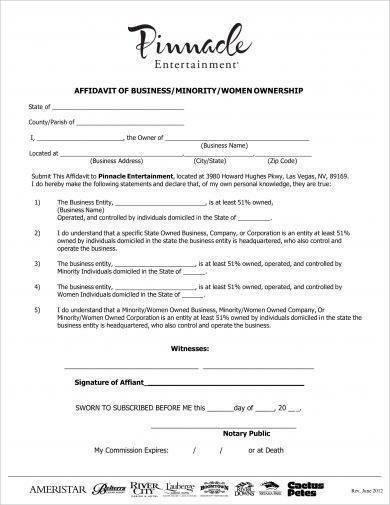 However, there is really no need to sign the documents in front of the notary, he/she can just go to the notary and declare that the signature is really his/hers. You may also check out bank statement examples. On the other hand, in a jurat the person who has affixed his/her signature in the document affirms that what has been stated is true based on his/her personal knowledge. An oath or affirmation is administered by the notary to the signing party before the document is signed. And contrary to an acknowledgment, a jurat needs to be signed in the presence of a notary. You might be interested in statement of work examples. Lastly, as a reminder, the notary is generally not permitted to tell you which type of signature is required, therefore, requesting the correct form is up to you. Should you wish to affirm or assert ownership for a property, you need to find a notary; they are commonly located at a local law office, bank, or post office. You may also see concept statement examples. In order to signify that a notary is certified and that their certification is not expired, notaries generally use a special stamp. 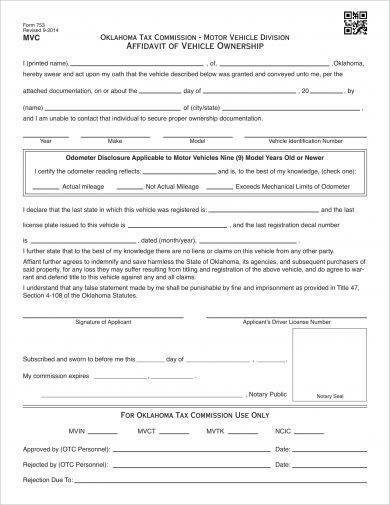 Although there are various forms you can fill out for your affidavit of ownership, you still need to know what are the common contents or sections you need to fill out or include should you decide to make one. You have to know and understand what sections you might encounter so you can prepare the correct information to put into your affidavit. You may also see profit and loss statement examples. Although affidavits are generally considered as legal documents, anyone can draft one. 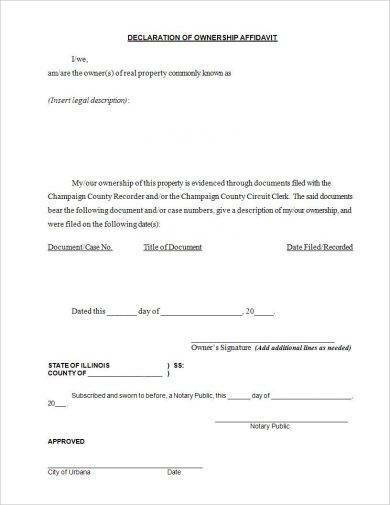 As long as it is signed, witnessed, and notarized correctly it will be considered as valid. Therefore, you don’t really need a lawyer to create your affidavit of ownership. However, it is important to note that some affidavits need specific and accurate information in order to fulfill their purpose and meet legal requirements. The affidavit should be done on white paper (8.5″ × 11″). The font size and spacing should be the same throughout the entire document. Consider putting headings in the affidavit to make it easier to organize. Each page should be numbered. Each paragraph should be numbered. 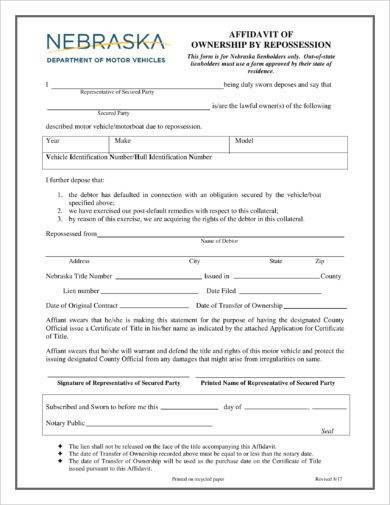 If at all possible, type the affidavit. Try to avoid providing a handwritten affidavit although in theory you can provide it. Put in all the relevant facts. Give yourself enough time to continuously draft and check your affidavit. Keep it simple, organized, and short. Have other people read it out loud to check if there are no typing errors and if the language is clear. You may also see business statement examples. 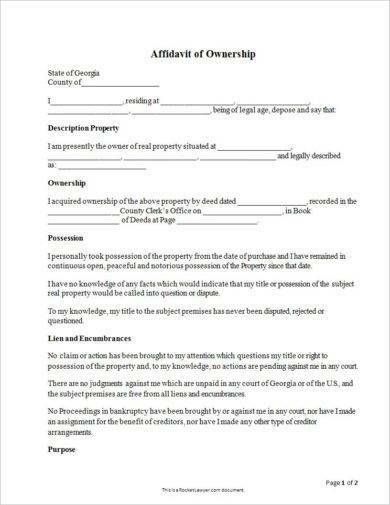 An affidavit of ownership is really a necessary document if you want to assert and affirm ownership of your property. There will be times when the word-of-mouth and other documents will not suffice and will need a more legal and affirming document, thus, an affidavit of ownership comes into play. 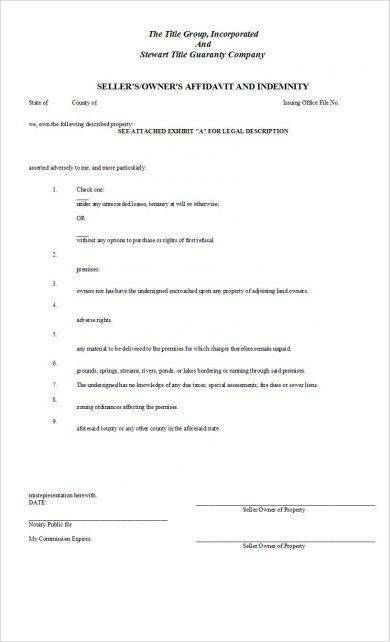 It is a very commonly needed document when a title for a real estate or vehicle is not enough to prove your ownership. You may also see artist statement examples. 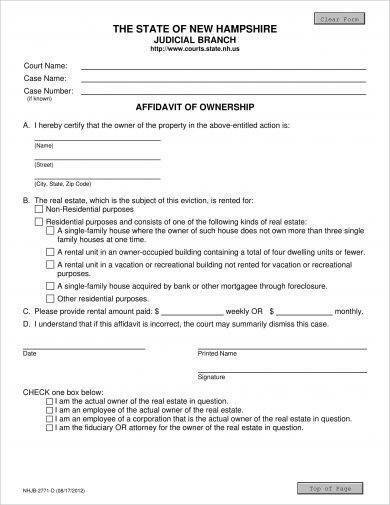 We hope you have learned about affidavit of ownership with this guide and may you find use to the given examples.